Since 2003, Healy Consultants Group PLC has assisted our Clients with business registration in Serbia. Our services include i) Serbia company registration ii) government license registration iii) business bank account opening iv) employee recruitment v) visa strategies and vi) office rental solutions. Serbia has signed double tax treaties with 54 countries including Canada, China, Denmark, France, Germany, Ireland and the UK among others and this serves as a major incentive to investors as it aims at reducing taxes and encouraging investments and easy flow of goods and services between the member countries. Serbia has world-class IT services. The nation is home to 1600 innovative IT companies and is known for its proficiency in high-end IT software and hardware solutions. Moreover, Microsoft has started its 4th Development Centre in the world in Serbia. Corruption is still a serious problem in Serbia due to inefficient government bureaucracy as the government does not have a track record of investigating and prosecuting corrupt officials especially in high profile cases. 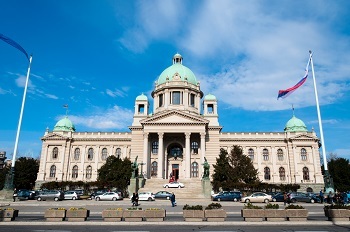 Serbia has lengthy tax payment procedures. There is a total of 66 tax payments per year that are to be filed in Serbia which approximately takes 279 hours on average. To help us engineer the optimum Serbia corporate structure, please complete the 3-minute questionnaire below; then press the submit button below. Compare Central Europe manufacturing companies! Compare Eastern Europe manufacturing companies!